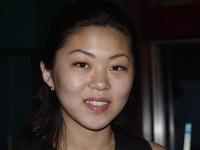 Ga-Young Kim is a Korean professional billiards player who plays on the Women's Professional Billiard Association (WPBA) tour. 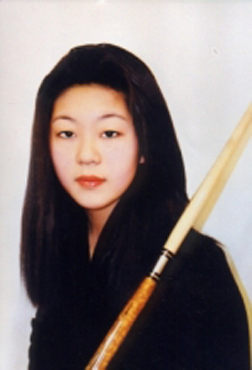 Her father began teaching Ga Young to play three-cushion billiards (a form of carom billiards) when she was about 12 years old. 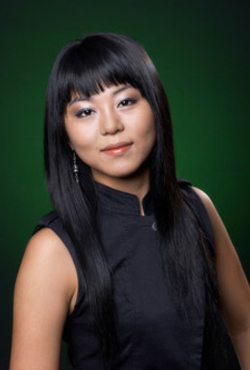 After playing three-cushion for about 3 years she started playing nine-ball pool and turned pro at the 2003 BCA Open. In January 2008 she began using (and entered into an endorsement agreement with) K.F. Cues, a Taiwan-based company. Ga Young practices about 30 hours a week and enjoys a friendly rivalry with fellow Asian WPBA player Pan Xiaoting from China, who is a year older and a few inches shorter. 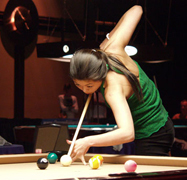 Kim and Pan finished the 2007 WPBA season ranked 2nd and 3rd, respectively, behind perennially top-ranked Allison Fisher.